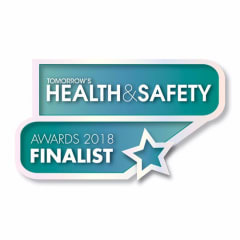 Kee Safety Limited, with its Kee Gate self-closing safety gates range, has been nominated and is now one of the finalists of Tomorrow's Health & Safety Awards 2018. The Top 50 finalists were selected from products and services that have featured in the Tomorrow's Health & Safety magazine over the last 12 months or have been nominated by the magazine readers. Kee Gate self-closing safety gates have been designed for use in rooftop or industrial environments. Self-closing gates are ideal for protecting any openings where regular access for maintenance and inspection is required. The gates are spring loaded so will automatically close behind the user. Kee Gate safety gates have been recently upgraded, to make sure the products meet the revised BS EN ISO 14122 standard. To find out more about our self-closing gates please visit the Kee Gate product page.